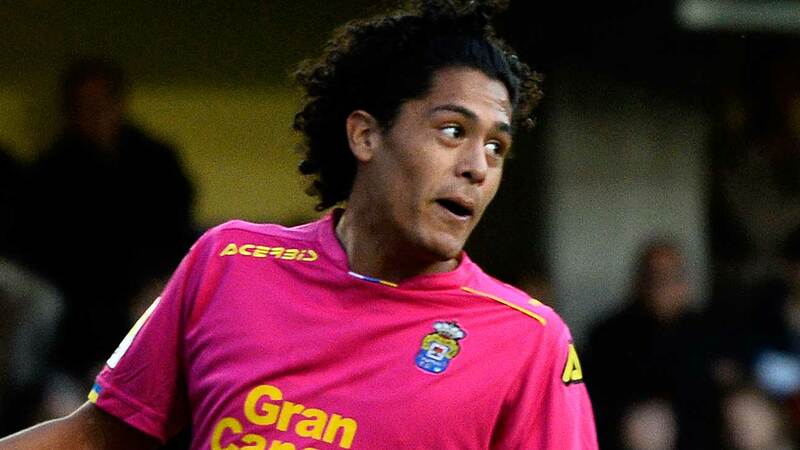 Las Palmas' Mauricio Lemos said he is happy that his career has taken off. Las Palmas centre-back Mauricio Lemos has said he is proud to be linked with La Liga champions Barcelona amid speculation that the Catalan club have offered €4 million for his services. Lemos left Uruguayan side Defensor for Rubin Kazan in summer 2015, but joined Las Palmas on loan in January 2016 after barely featuring in the Russian league. The 20-year-old quickly settled at the Estadio Gran Canaria, playing regularly as Quique Setien's side secured safety in the Primera Division. That led Las Palmas to trigger a clause allowing them to sign him permanently for €1.9 million on a contract running until 2021. A string of impressive performances sparked speculation of interest from Barcelona, including a report that a €4 million bid had been knocked back, while the Uruguay underage international has also been linked with Everton. Back in his home country after the La Liga season ended, Lemos told Sport he was not sure what the future held but was happy with how his career had taken off so quickly. "That there is talk about this makes me proud," he said. "To think that it is just two years since I made my debut for Defensor. The coach [Setien] told me when he arrived that I was one for the future. I did not imagine I would adapt so quickly. "To play against Barcelona and Real Madrid, who I had been watching on TV, was incredible. "My idea is to stay at Las Palmas. If this about Barcelona is true, I cannot tell you what might happen. The directors told me that if there was a good offer, they were not going to block anything."